Security is always important to Boca Raton businesses. Having a modern security system allows you to defer criminals, keep track of employees and gain video evidence of what goes on when you are not looking. This not only helps to protect your business investment, it helps to give you peace of mind. Start looking for CCTV camera installation services in Boca Raton to learn more about how a security system can benefit you. What are CCTV Camera Installation Services Boca Raton? CCTV camera installation services Boca Raton businesses rely on combine the latest technology with a security service. 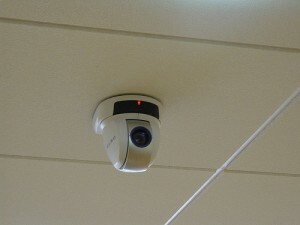 In the past, most businesses would invest in a simple camera that was set to record during specific hours of the day. A CCTV camera system is a little more elaborate, recording areas with clear video and audio. In many cases, these new cameras are set to record 24 hours a day. Most security systems that incorporate a CCTV camera will include an alarm. This alarm will automatically contact the local authorities in the event of a break in. While loud sounds may scare your criminal off, the cameras will still be recording everything. This helps to give you plenty of video evidence that you can use to prosecute your criminal. If the alarm scares them away, they are also less likely to deface or steal your property. The CCTV camera installation services in Boca Raton Florida that you choose to do business with will be happy to explain more about these features. There are also several additional security features that can be included in your CCTV package, depending on your needs. Knowing the best ways to protect your business is important. By adding a security system, you will have plenty of options available. You will be able to find ways to keep even the smallest corners of your establishment secure. CCTV cameras can be set to record almost anywhere including register areas, entranceways, windows and offices. You may even want to put a CCTV camera in the break room to learn what employees are saying about their work environment! The most important benefit of Boca Raton CCTV camera installation services is that you gain video evidence that you can use later on. You can confront trash-talking employees or those who are taking from you. If authorities are involved, you can use your video evidence to compile a worth-while case. Your CCTV cameras can also work as a deferent, keeping people from stealing from you. It is a known fact that most employees won’t steal if there is a good chance that they will get caught. Placing cameras and surveillance signs around the property may also defer other criminals from even taking a chance. Finding the right affordable CCTV camera installation services in Boca Raton Florida is important. There are several services available and it is important to do your research before choosing one. Most companies will offer a free consultation session that will allow you to get a good feel for what the company has available. You will be able to see which companies offer the best technology, best ongoing services or most affordable prices. You will learn a lot about your Boca Raton CCTV camera on installation day. A professional will be able to explain how the cameras work and how they will specifically affect your business. If they are familiar with the area, they will be able to make further suggestions that can help protect you from known problems in the area. A good professional is going to want to help you find something that meets your needs and is affordable. 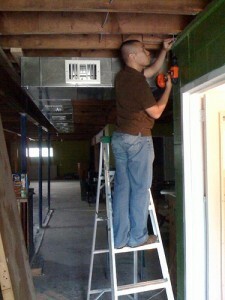 Affordable Boca Raton CCTV camera installation services will be able to be completed right away. Professionals are often eager to install and the sooner you install the system, the quicker you will be protected. Companies like Tech Pro Security tend to keep all of their equipment in stock, giving you plenty of choices that can be installed immediately. Choosing affordable CCTV camera services Boca Raton businesses can rely on isn’t easy. There are several different services in the area and all of them have something unique to bring to the table. When choosing your company, be sure to find an experienced company that is willing to offer you personalized attention. You want a company that is truly going to listen to your needs, rather than just push the latest technology on you. With some research, you will easily be able to find the equipment you need and a service you can afford. Companies like Tech Pro Security offer affordable options to Boca Raton businesses. This helps the local businesses find CCTV cameras and incorporate them into their security system. The business will be happy to know that they are getting a better value without sacrificing the quality of the camera. Investing in affordable Boca Raton CCTV camera installation services is a great choice for any business. These practical services help to give any business owner peace of mind. With plenty of choices available, it is easy for businesses to find something that meets their needs. To find a great CCTV Camera installation service in Boca Raton Florida, contact Tech Pro Security today.